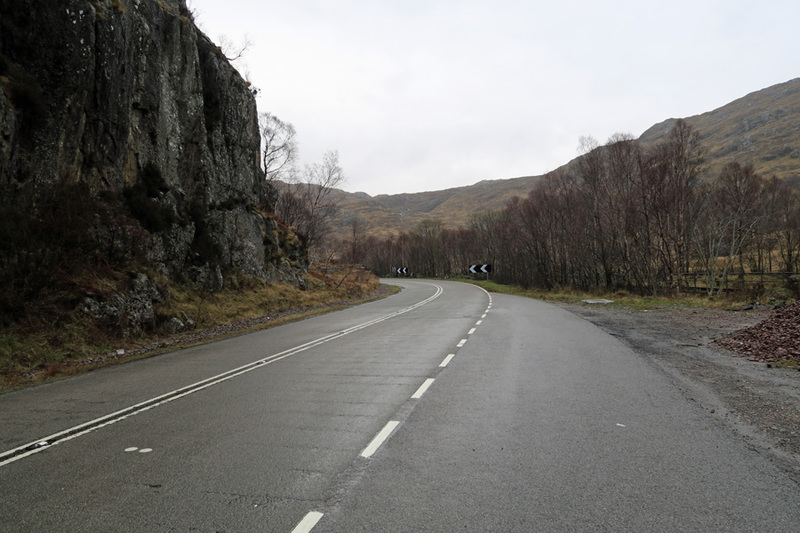 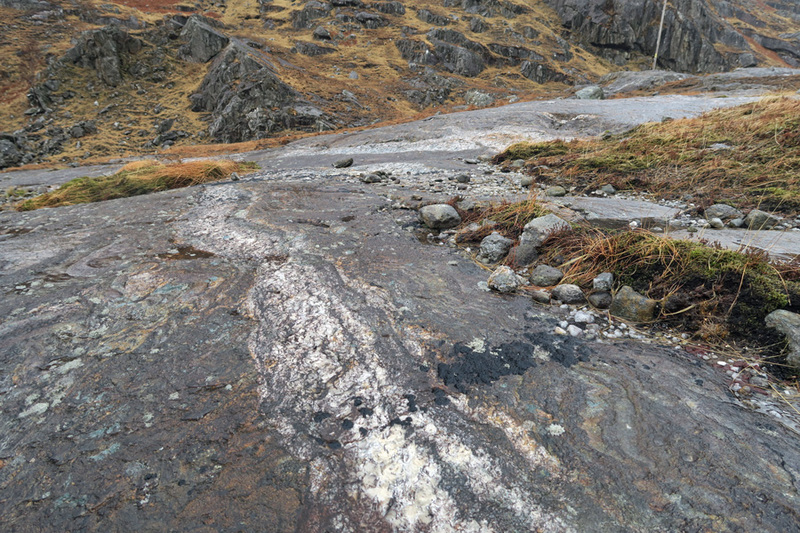 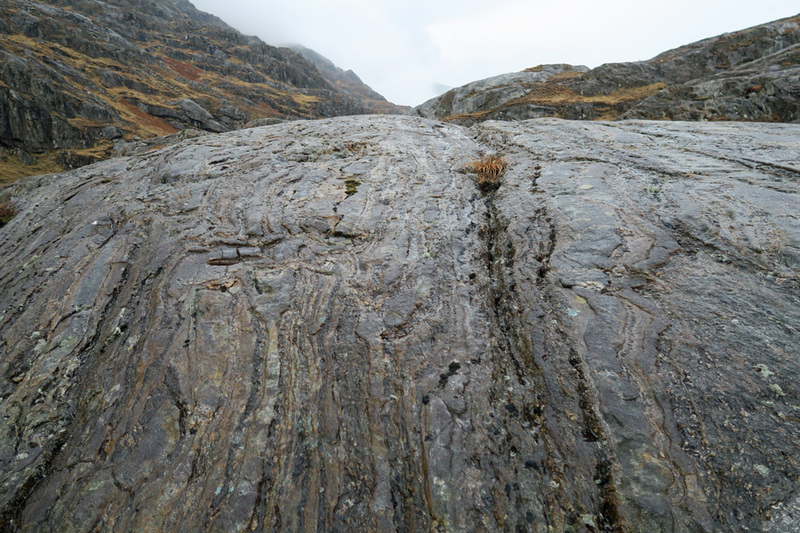 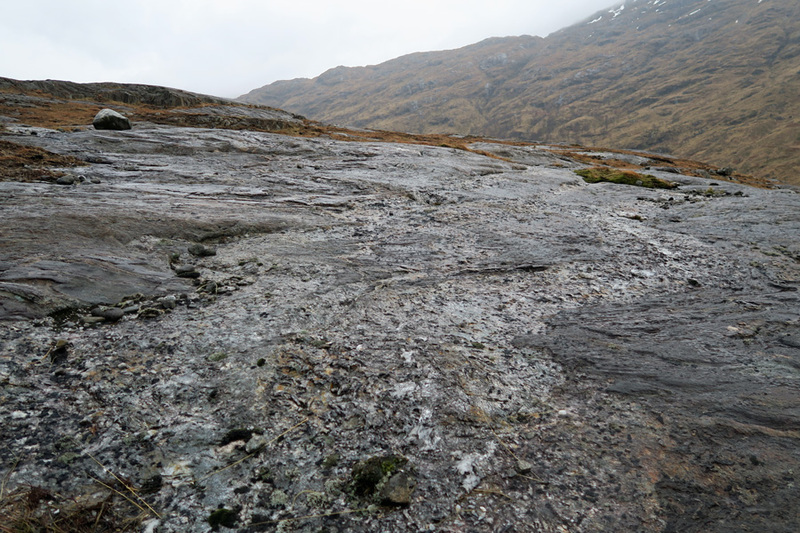 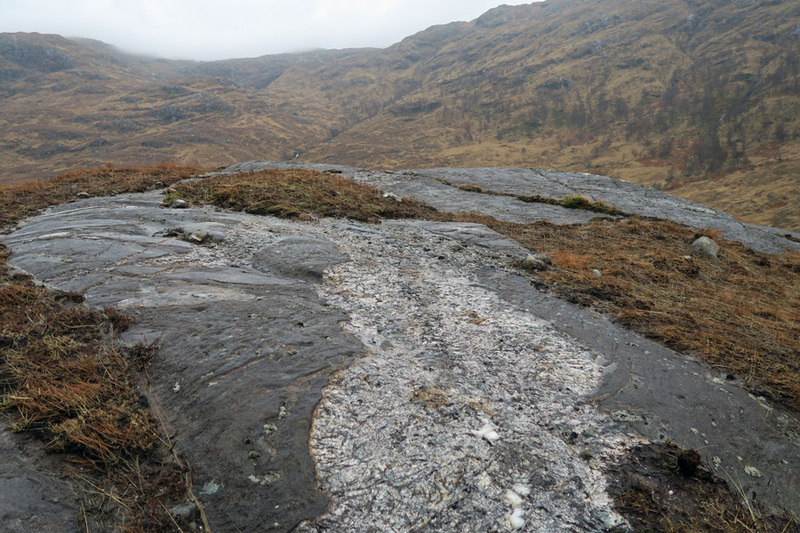 An amazing display of glaciated slabs approximately 4km west of Glenfinnan The ancient metamorphic rocks belong to the Glenfinnan Group and consist of interbanded psmammites and pelites. 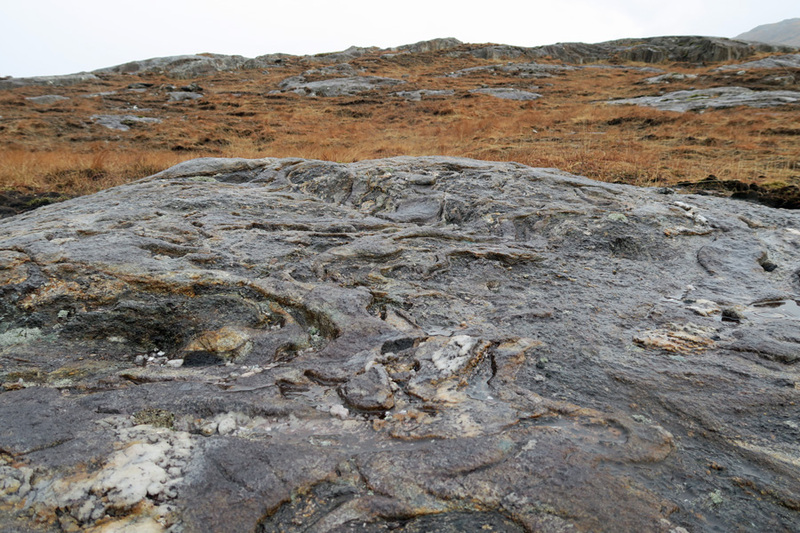 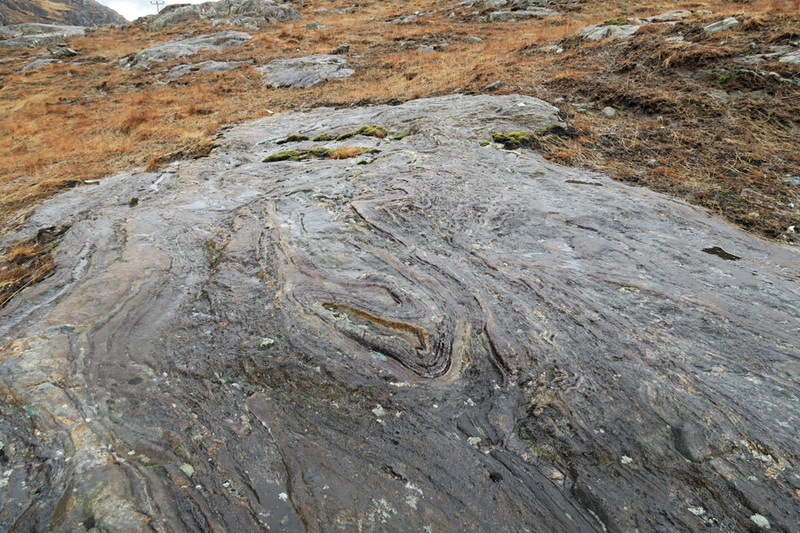 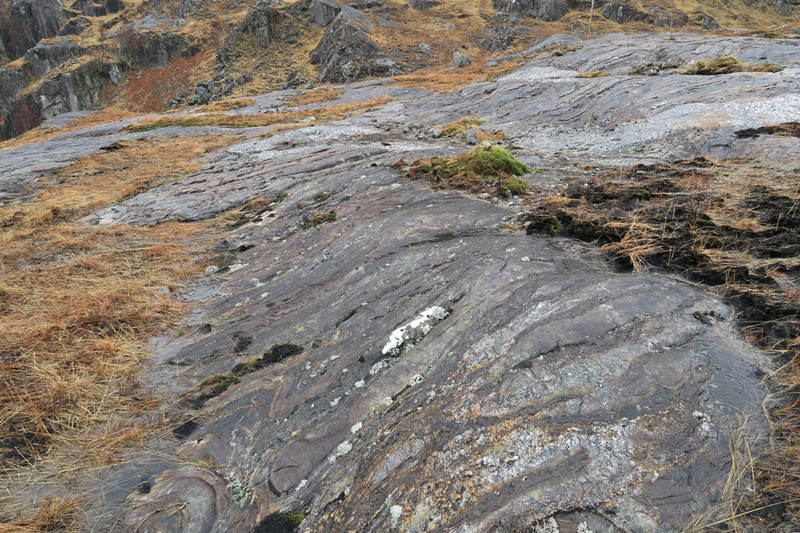 Deformation of the Moine rocks is evident in the form of faulting and folding. 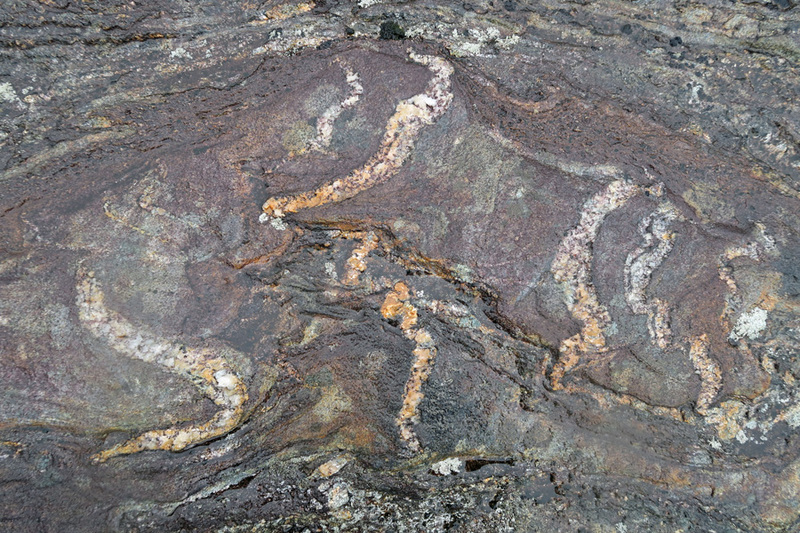 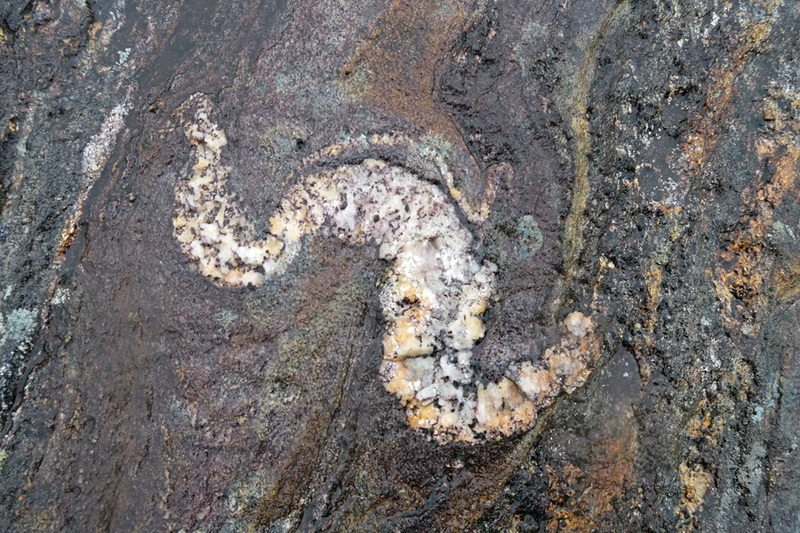 The rocks also contain igneous intrusions of pegmatite, with large crystals of mica evident. 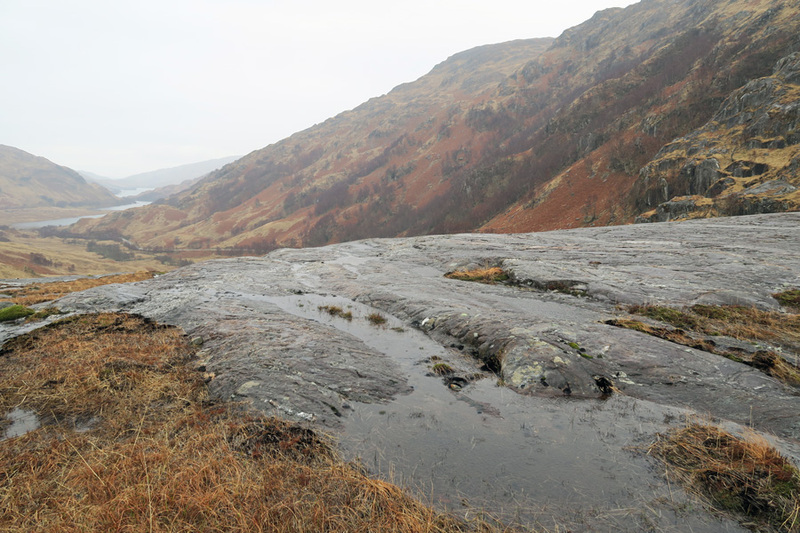 The slabs have the profile of a roche moutonnée, the product of more recent glacial sculpturing. 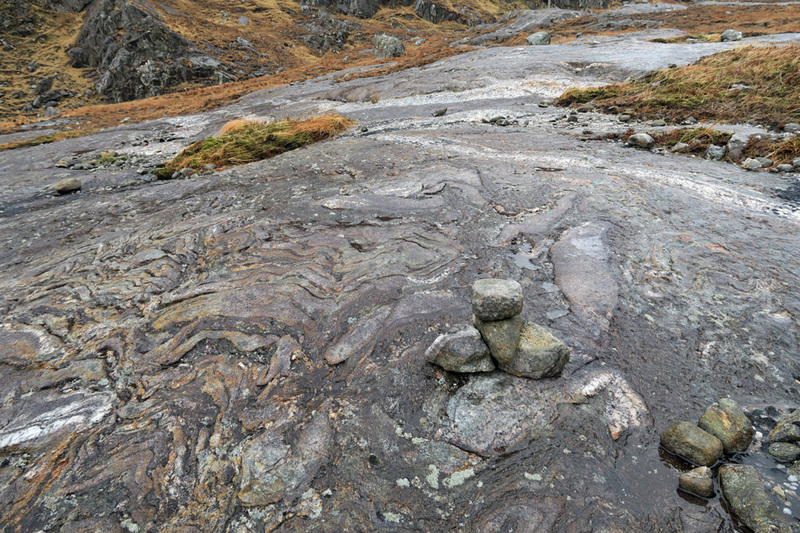 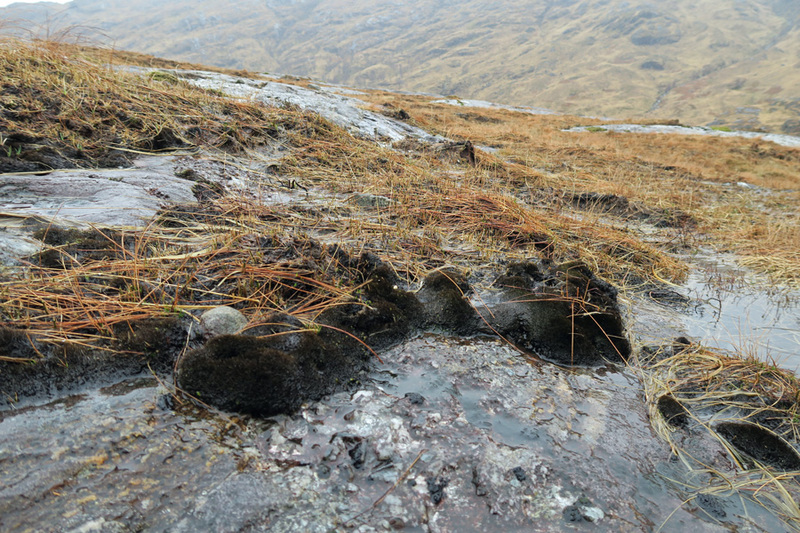 The Mudhie is one of the top 100 Geosites in the UK and Ireland. 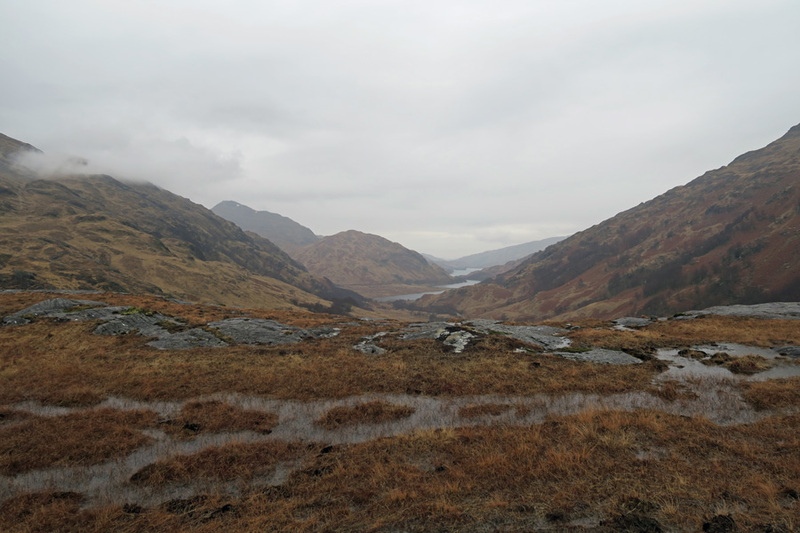 A fabulous site with great views of Loch Elit and the surrounding hills on the Road to the Isles. 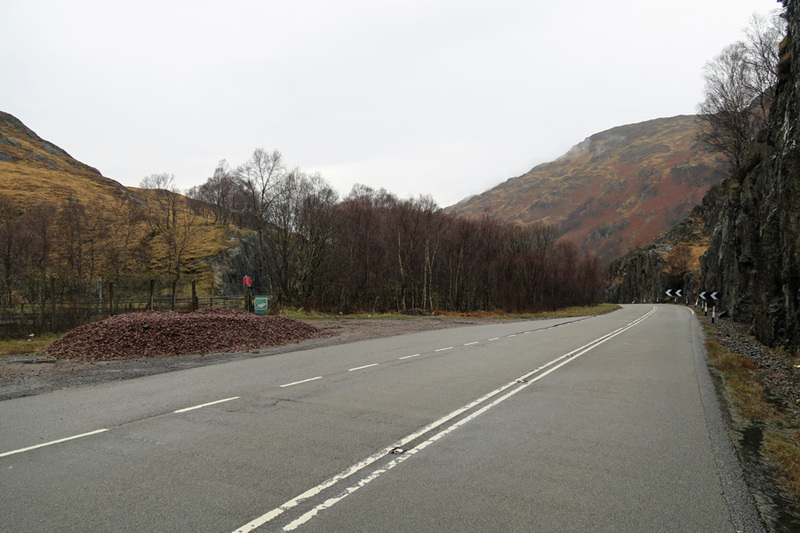 Park in the layby on the south side of the A861 some three miles west of Glenfinnan. 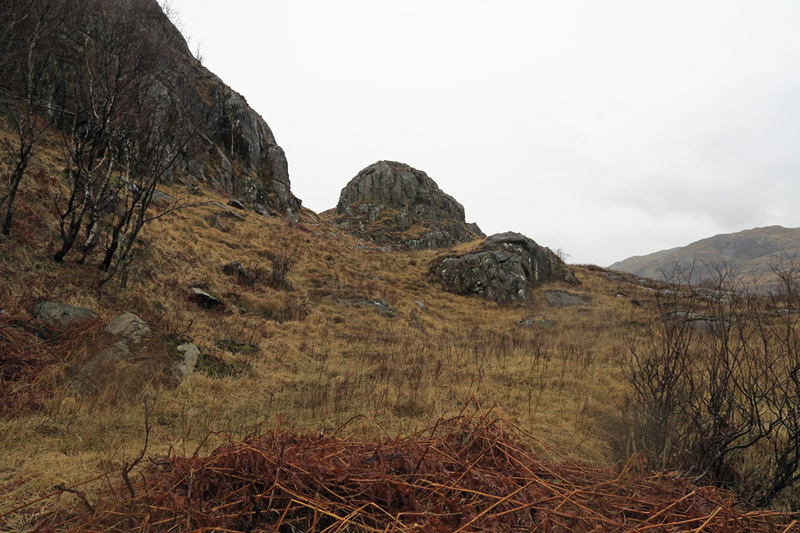 The Mudhie is a short walk up the hillside in the general direction of the mast half way up the hill on the North side of the road. 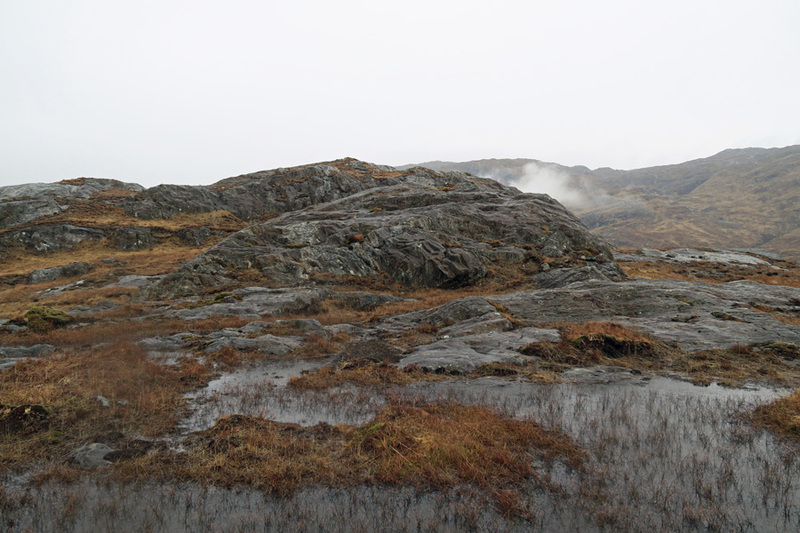 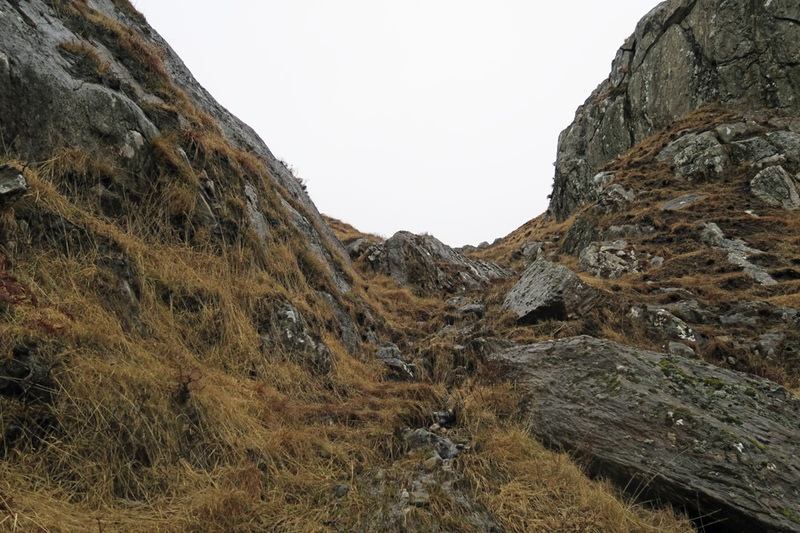 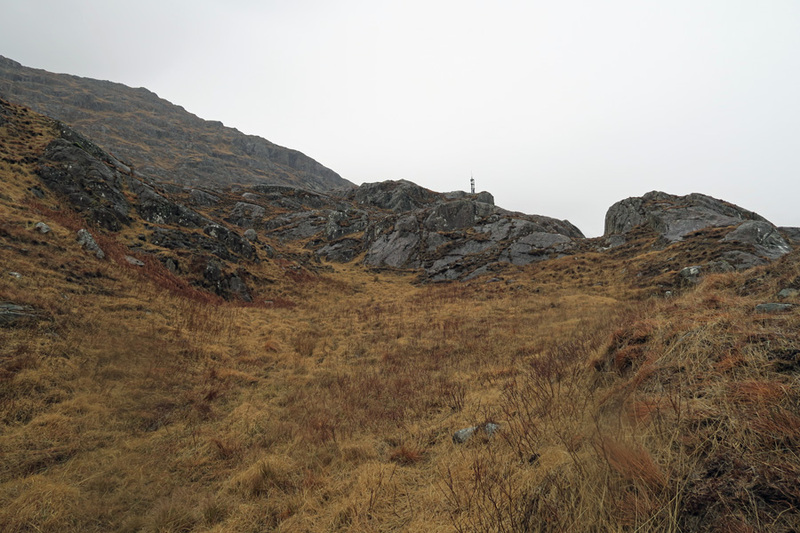 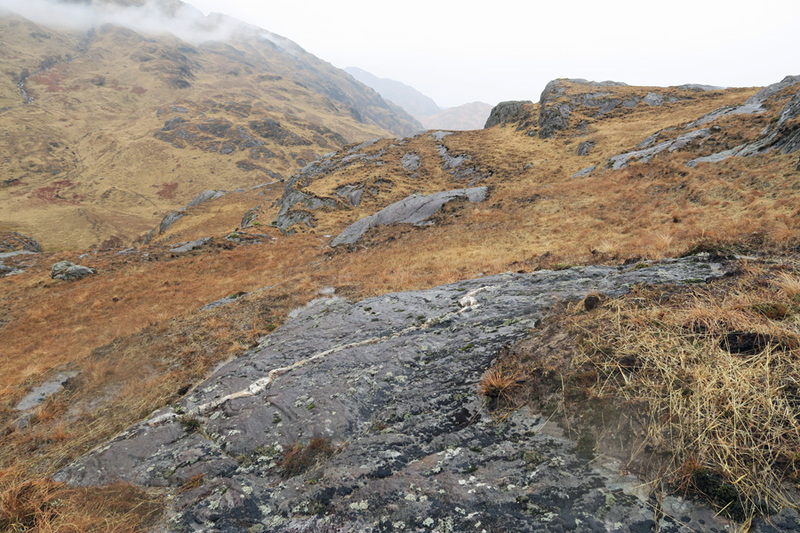 The path is indistinct, boggy, steep in places and passes through a narrow gully before eventually reaching The Mudhie. 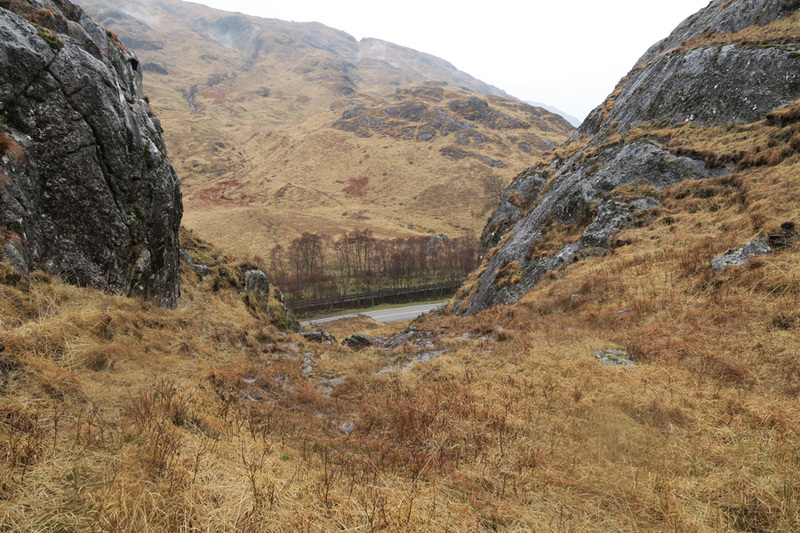 Appropriate clothing and footware is essential.